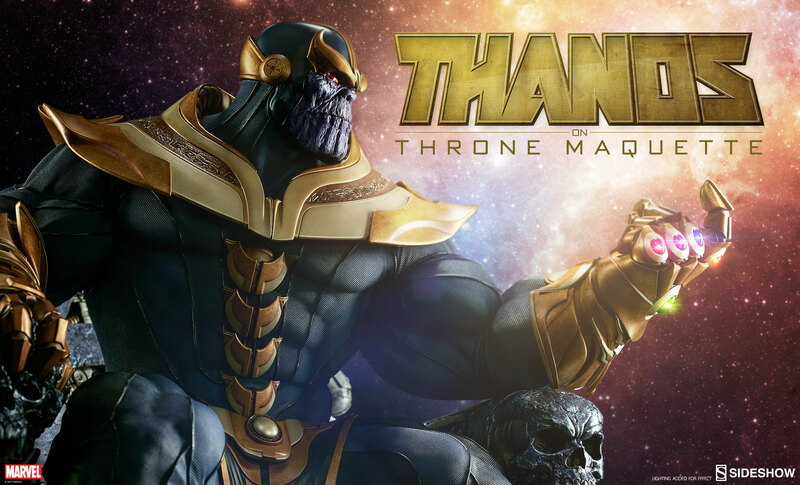 Sideshow is very excited to announce our next Marvel collectible – Thanos on Throne Maquette. This fan-favorite comic villain will be available for Pre-Order very soon, so keep an eye out for a chance to lock him in for your collection. While you wait, be sure to pick up other Marvel collectibles – Gamora, Angela, Rocket, Groot, and Captain Marvel!